The latest release (2017) in the Anejados series. It was rolled and aged in its box for 5 to 8 years. 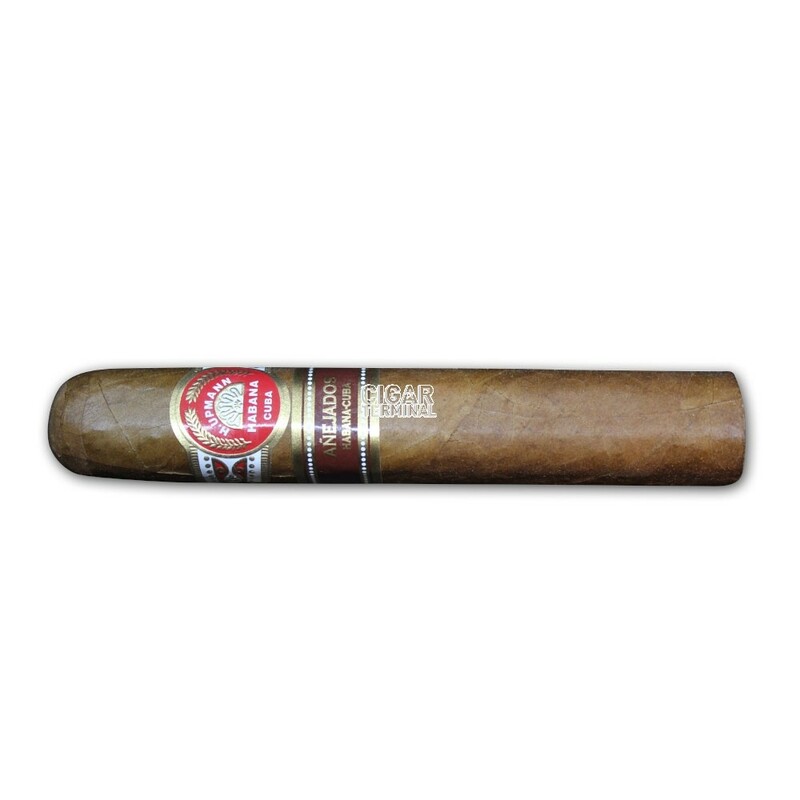 • Light to Medium cigar, not overly complex, but a great H.Upmann. One of the best of the Anejados series, grab a box while you still can! Very beautiful look on the Robusto Anejado. The wrapper has a nice chocolate brown color, of colorado claro tone and is fairly oily despite being aged for almost 10 years. The cigar is well packed with no soft spots. 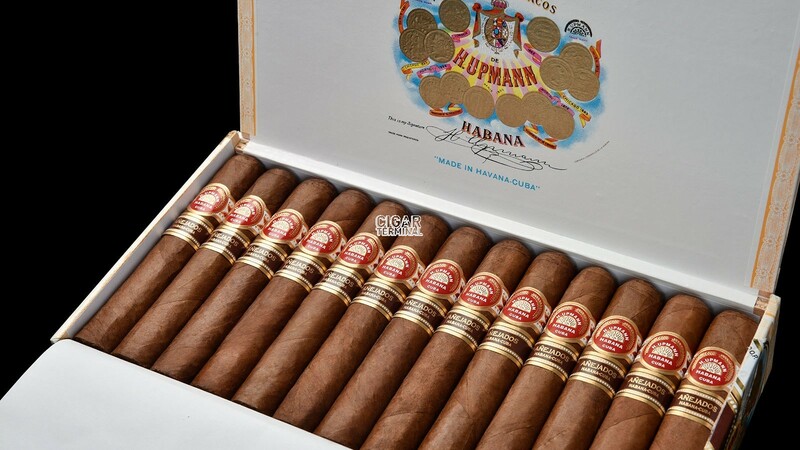 In addition to the regular H.Upmann band, there is the extra Aged Habanos (Añejados) band. The cold draw is perfect and gives some flavors of wood with some hints of barnyard. Upon lighting up the cigar, the first puffs of the Robusto Anejado bring some unexpected strength, but quickly calms down and deliver ample creaminess. The burn line is sharp. The Robusto Anejado is very creamy and smooth in the first part, the flavors are mostly wood, a bit of mineral notes and lots of sweetness as well, reminiscent of crème brulée. Coming towards the middle section, spices are slowly creeping forward, some red-chili kind of spice, which mixes-up with the sweetness in some kind of chocolate chilli kind of taste. The overall strength is light to medium and the construction is flawless. The draw remains excellent and the ash holds on for more than half of the cigar. In the second third, the Robusto Anejado becomes even rounder, smoother, and now develops more complexity, with the addition of some nuttiness and other roasted nuts flavors. The strong spice from the first third has receded. The burn line is still razor sharp and the ash holds on very well in a nice and white long ridges. The body is still in around the light to medium mark at this point. The strength ramps up coming towards the bands, closer to a medium body, but still allowing us to enjoy the creaminess of the cigar. There is now more sweetness (honey notes), no bitterness whatsoever, and lots of wood and nuts, in a typical H.Upmann way. The flavors are all very well balanced and it is a pity to have to let go of it before burning our fingers. 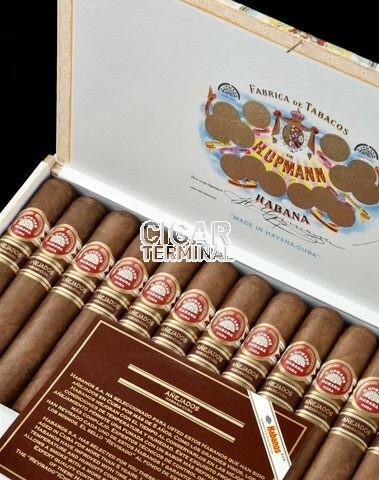 Overall, a very enjoyable cigar, typical creamy and woody flavors from H.Upmann, a cigar that will surely improve over the years.